Getting excited over a category 1 SPG property may seem rather silly, but color me impressed. 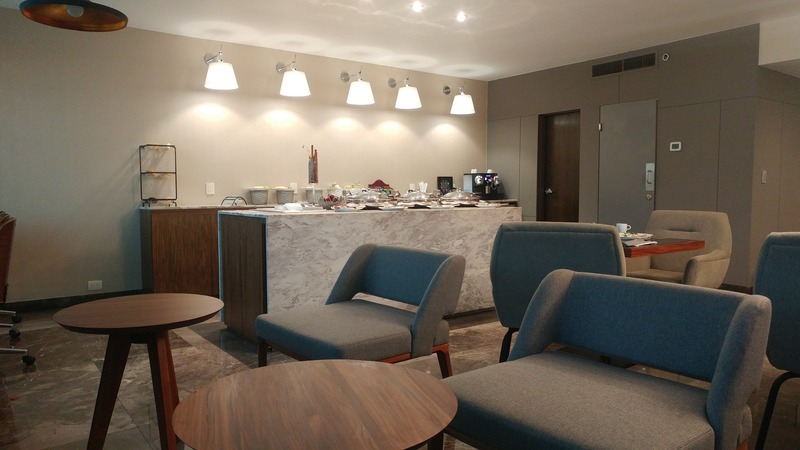 We stayed one night at the Sheraton Ambassador Monterrey hotel in downtown and would certainly do it again. 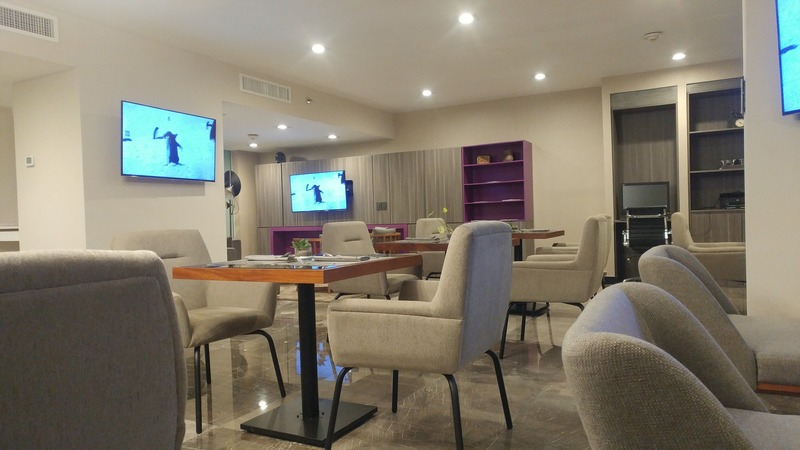 Centrally located in downtown, you are just a few minutes walk to the Macroplaza. There you will find a Neptune fountain as well as the Cathedral of Our Lady of Monterrey. If shopping is your thing, you are only a two-minute walk to hundreds of clothing and shoe stores. 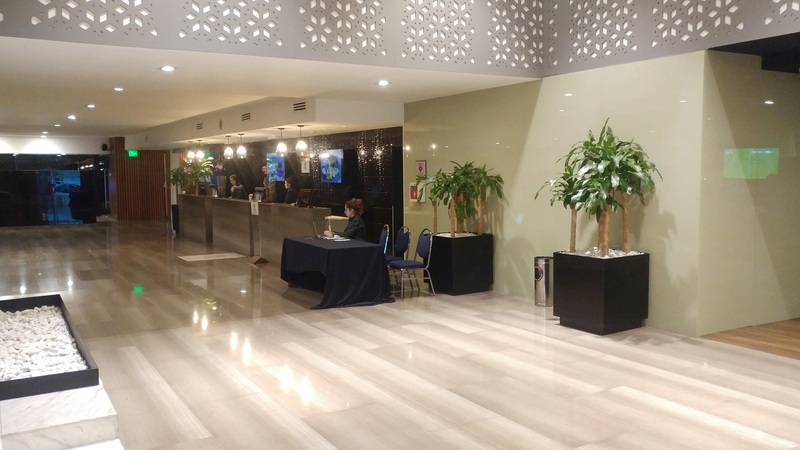 Being in the heart of the city, the hotel charges 100 MXN Pesos per night for valet parking. That equates to a bit over $5, not bad for valet garage parking in the city. I attempted to check-in at 11AM as an SPG gold member. They let me know that check-in is at 3PM but to check back in an hour and they should have our rooms ready. At 12:20PM I returned to the counter hoping to get our room keys. A new hotel employee let me know that check-in was at 3PM but hopefully they could get us in by 2PM. Not interested in the run-around, we headed out and left them with our bags, which they gladly held at no charge. Upon returning at 2:30PM, we were handed room keys to the 9th floor, a deluxe room which was recently upgraded. My gold status did net us upgraded rooms, but unfortunately we were told we’d need platinum to get access to the 12th floor club lounge. Not to fear, Alyssa pulled out her American Express SPG Business card, our golden ticket to the lounge. Regardless of your booking type or status, your SPG biz credit card grants you and a guest access to the club lounge. The lounge typically entails afternoon snacks and a morning breakfast buffet. Our deluxe room on the 9th floor was large and fresh. At only 3,000 SPG points for the night, you really can’t go wrong! The standout for me was the 55″ led wall mounted TV with Netflix! 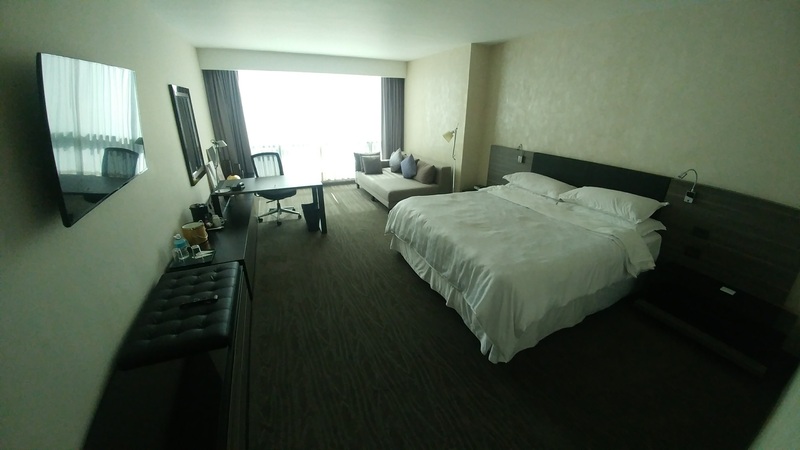 I also appreciated the generous 431 sq ft of space, it made the one king room feel very spacious. Coffee and tea were provided in the rooms as was a free water bottle. Scattered throughout you will also find many wall outlets with USB ports built-in, a HUGE plus. 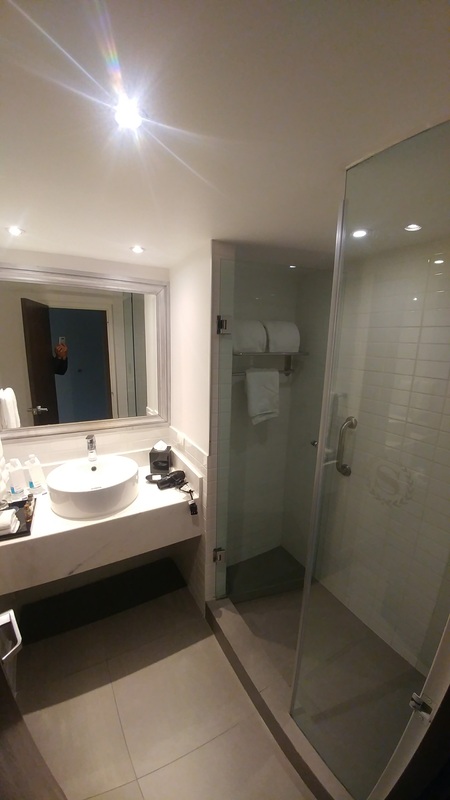 The walk-in full glass shower was very much appreciated after a red-eye flight and early arrival. Overall I would rate the room quality at 4/5, the carpet and linens looked and felt very new. I like this hotel, I like it a lot. 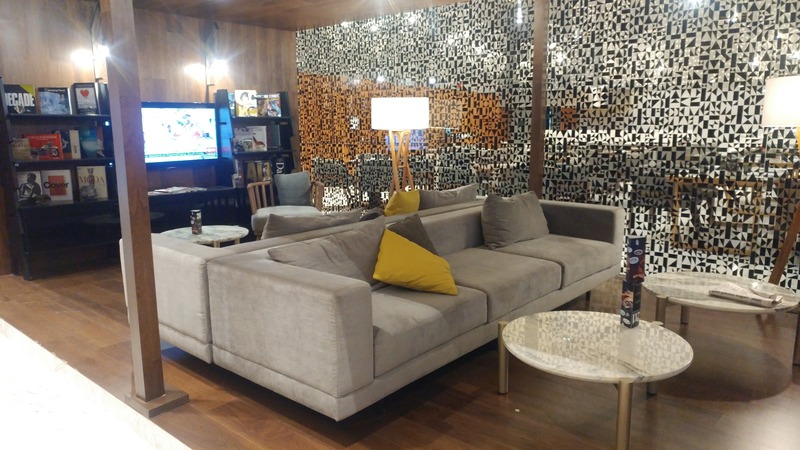 The reception and bar area felt very upscale – I took the free drink ‘welcome gift’ over the 250 SPG points. 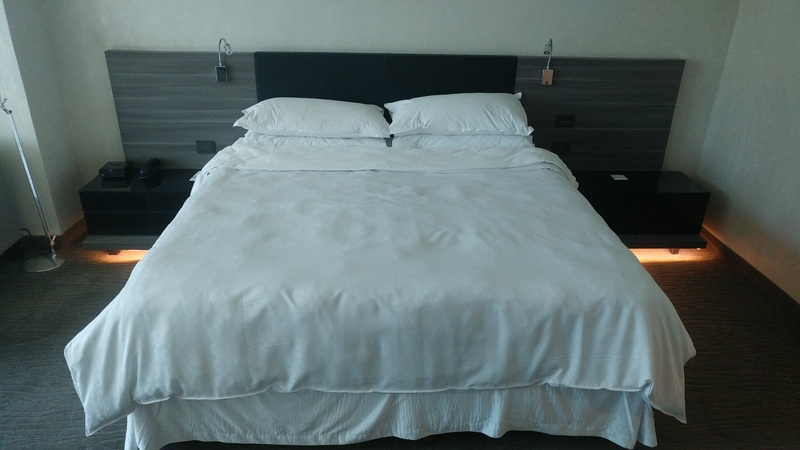 The room was extremely clean and the bed was amazing. Breakfast in the lounge was certainly enough to allow you to skip hitting-up a nearby restaurant. You’ll get access to the Sheraton club lounge with platinum status, an SPG business card, or by booking a club level room with cash. 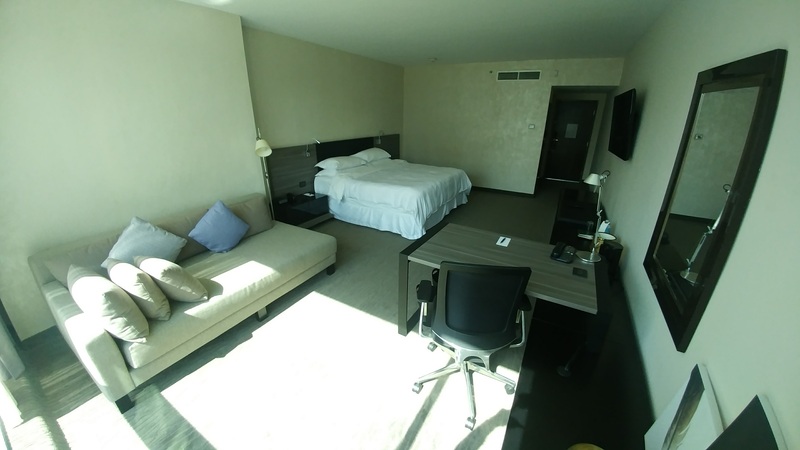 At 3,000-4,000 points per night, I would highly recommend the Sheraton Ambassador hotel if you are in Monterrey. 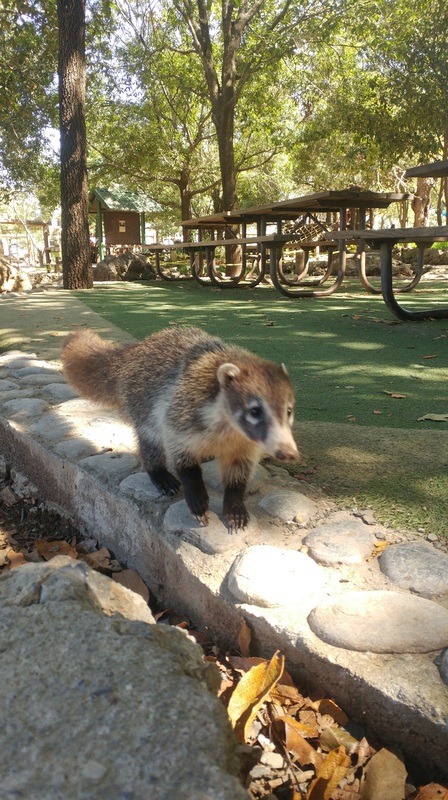 If you don’t have plans to visit Monterrey, I’d recommend putting it on your radar. The people were extremely friendly, the city was vibrant and modern. Adding to the charm you have a gorgeous landscape of mountains all directions.